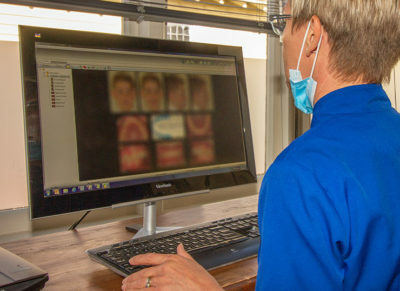 A no-obligation initial consultation is held so Phil can carry out a thorough examination during which all aspects of your bite and smile will be explained and possible treatment options discussed. 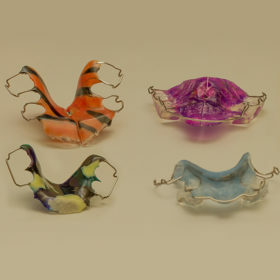 When you have discussed the treatment options with Phil and decided on your preferred one, you are ready to go ahead with getting your braces. The first step to your straight smile! 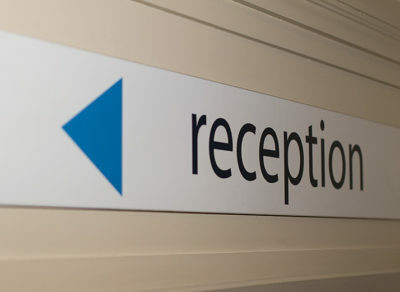 The records appointment is a 30 minute appointment during which x-rays, photographs and moulds of your teeth will be taken. 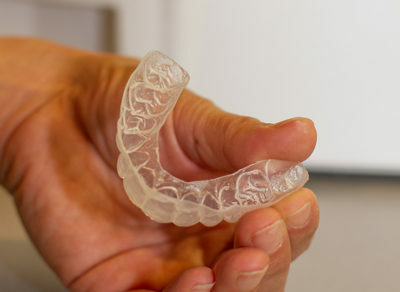 These enable Phil to create an individualised treatment plan prior to braces being placed on your teeth. This information is documented in your Orthodontic Records. 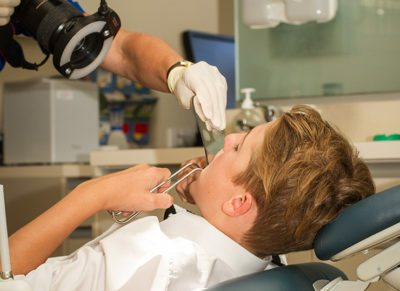 Orthodontic records are an essential part of reaching a correct diagnosis and planning the most appropriate treatment. The more severe or complicated the problem, the more time is required to analyse these records. Sometimes all of these records are required at once. Sometimes some of the records are required first, some are required later and some may need to be repeated during growth and development. 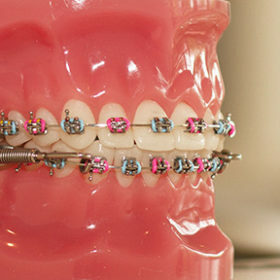 The bond-up appointment is when the braces are actually glued onto your teeth and is a 60 minute appointment. 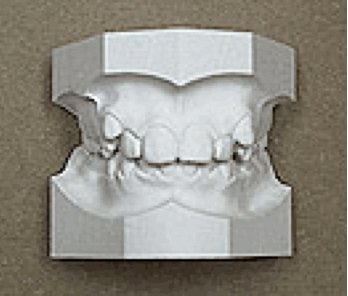 Phil uses the latest bracket systems and tailors an individual prescription for each patient, ensuring the best and quickest possible outcome. 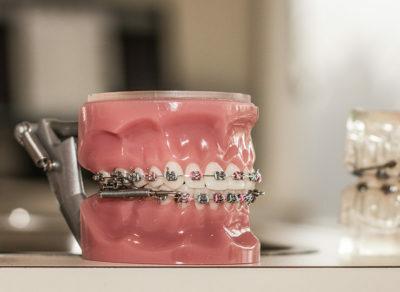 Once the braces are placed on your teeth, a nurse will talk you through how to care for your braces, which foods to avoid and what to do if one of your braces breaks. Please download the Colgate – Colgate Oral Care during Orthodontic Treatment booklet for a full explanation of how to look after your braces. You will be given this booklet at this bond-up appointment. These appointments are 15 minutes long and take place every six to eight weeks. 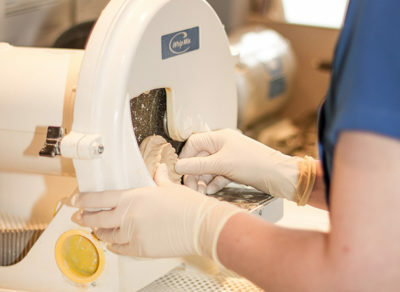 During these appointments, Phil will examine your teeth and will tighten wires to ensure enough pressure is exerted onto the teeth to move them into the desired position. This is the appointment that patients look forward to; the day your braces are taken off and you can flash your new straight smile. 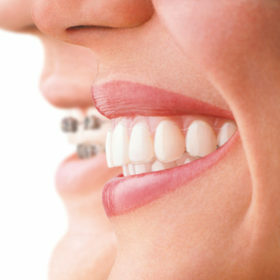 The braces will be removed and a wire will be glued to the back of your lower teeth to hold them in place. More moulds and photographs will be taken to record the final result. 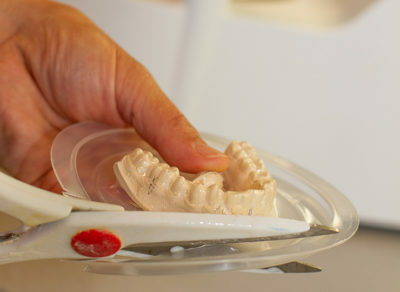 The mould will be used to create a ‘retainer’, which is a very thin clear mouthguard used to hold your upper teeth in place. This is a 60 minute appointment. Congratulations – Enjoy your new smile! You are now free to go and enjoy your new smile and be brace-free. 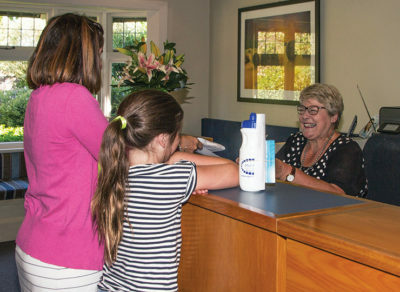 Phil likes to see his patients who have completed treatment for a further two years to ensure the teeth remain in place.